I meant to write this a couple of days ago! – but the days turned out rather busier than I expected . . . so here is my second update about my trip to Galloway. 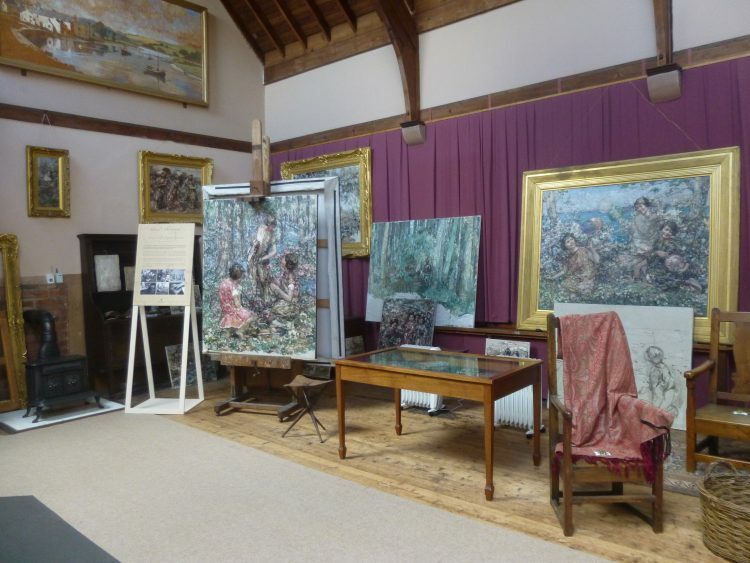 The artist E A Hornel lived in Kirkcudbright, and his house and garden are now run by the National Trust of Scotland. Broughton House is full of his rather strange paintings of Japanese subjects, but also has a wonderful collection of early samplers. His studio is just as he left it – always interesting. 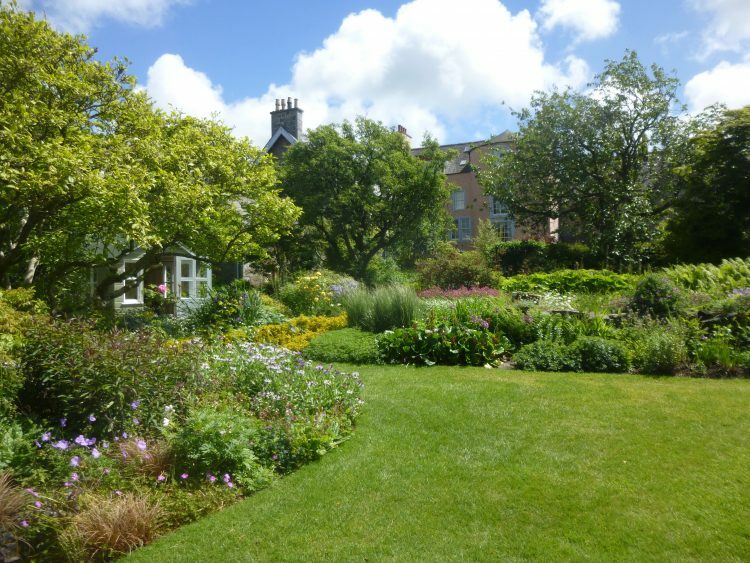 And the garden is really beautiful. It was a lovely sunny day and I really enjoyed looking round. 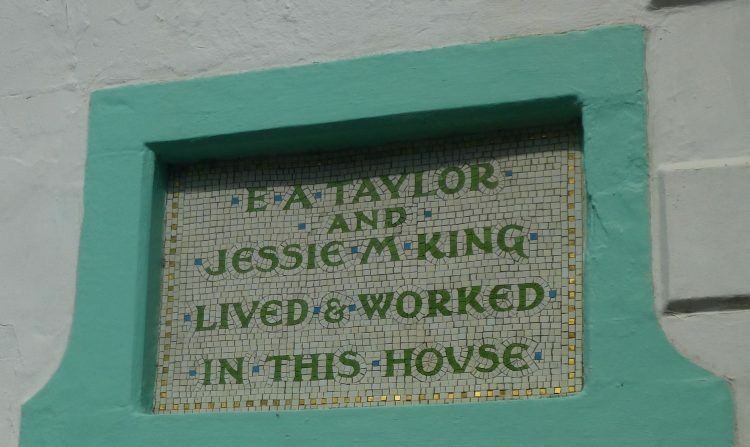 Another artist who lived in the town in the early part of the 20th century was Jessie M King. Her house, Greengates, has a beautifully executed mosaic over the front door. She and her husband were friends of Dorothy L Sayers and her husband, who often visited the area and stayed in the town. 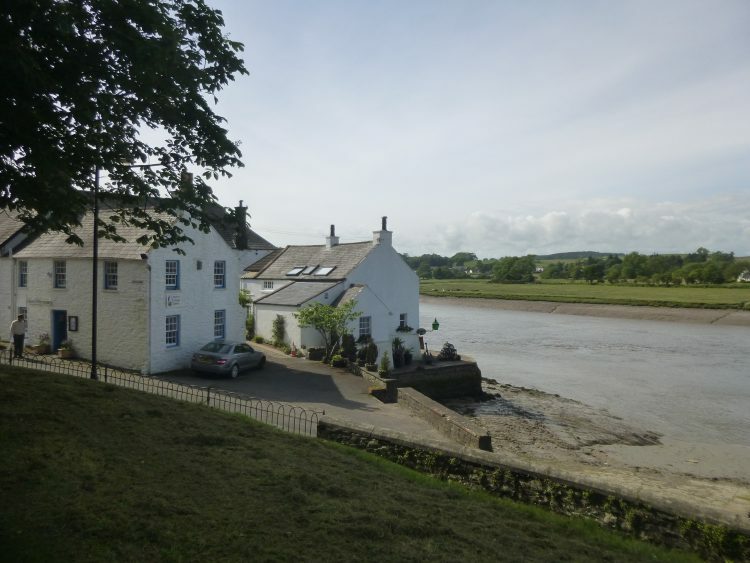 Dorothy L Sayers’ detective story ‘Five Red Herrings’ is set in and around Kirkcudbright, and it is obvious that Lord Peter Wimsey is supposed to be staying in the little row of ‘artists’ cottages that Jessie and her husband renovated and let, behind Greengates. 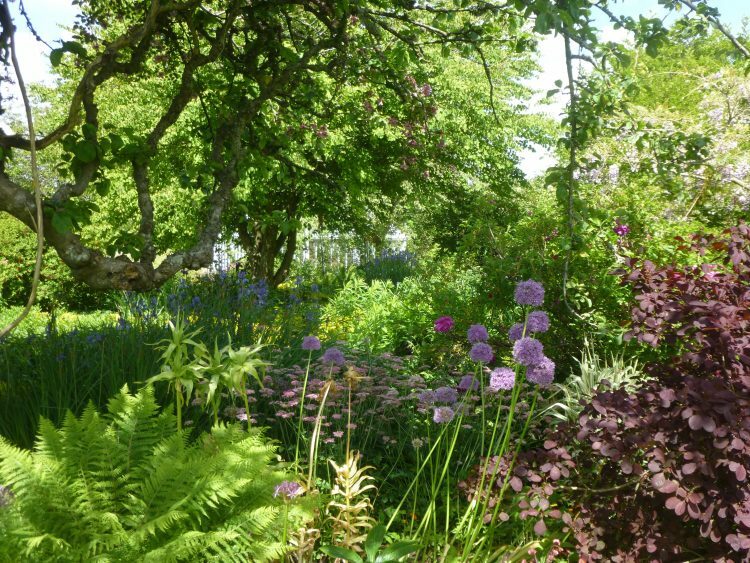 Another lovely garden I visited was Threave House. 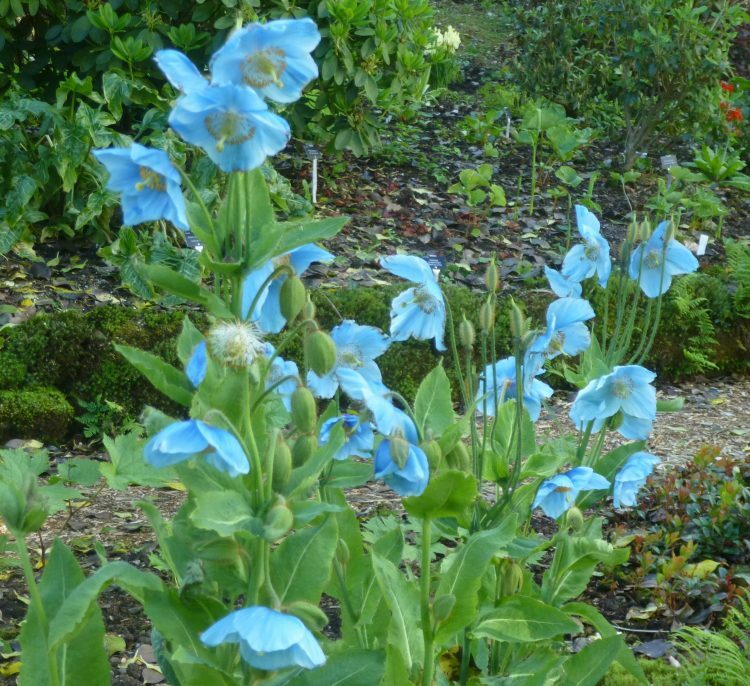 The blue poppies were particularly impressive – what an astonishing colour! I have never seen them growing so profusely. This is just one small clump – and there were masses of clumps! Thinking of wilder flowers, on both the Mull and Isle of Whithorn we saw early purple orchids, and also some pale mauve and white ones. I’m not sure if they are another species or just colour variants, a little like white bluebells. 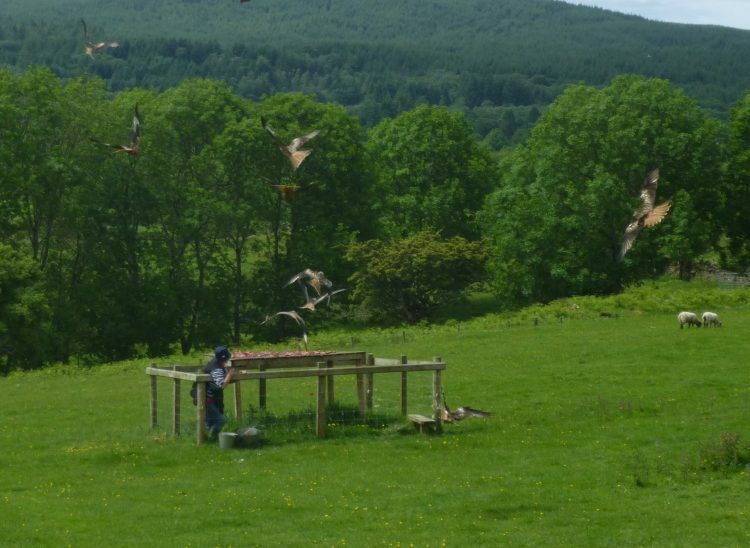 A real highlight of my week in the cottage was visiting the Kite Feeding Station near Cross Michael. 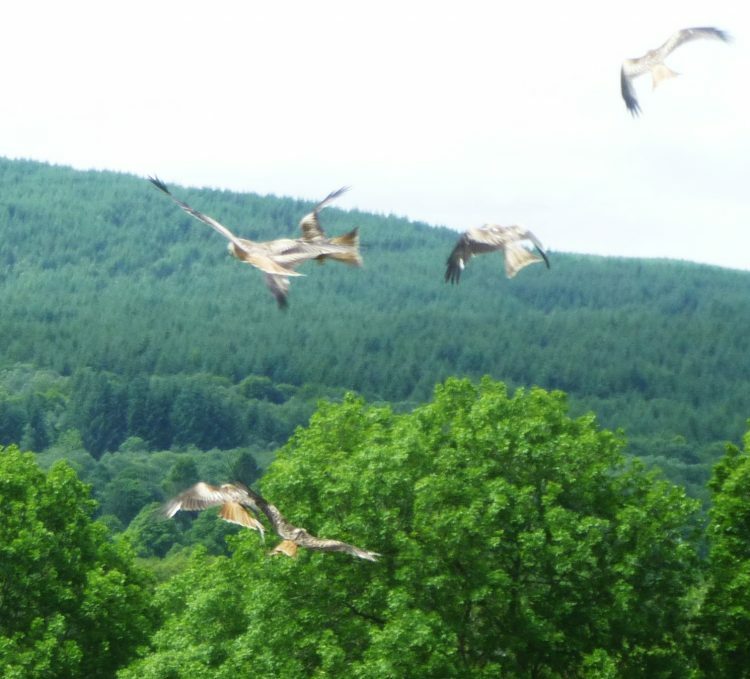 It was really difficult to find, but as I turned – eventually – down the right lane, I could see a great cloud of Red Kites circling in the sky expectantly. 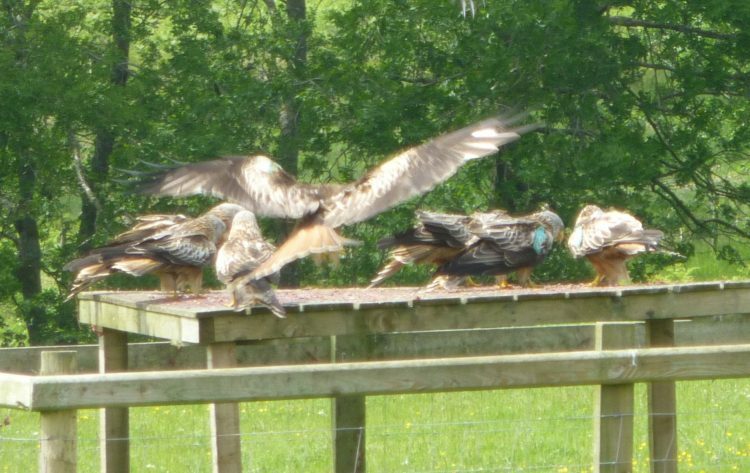 It was an astonishing sight to see these huge beautiful birds swooping down to take the meat spread out for them. 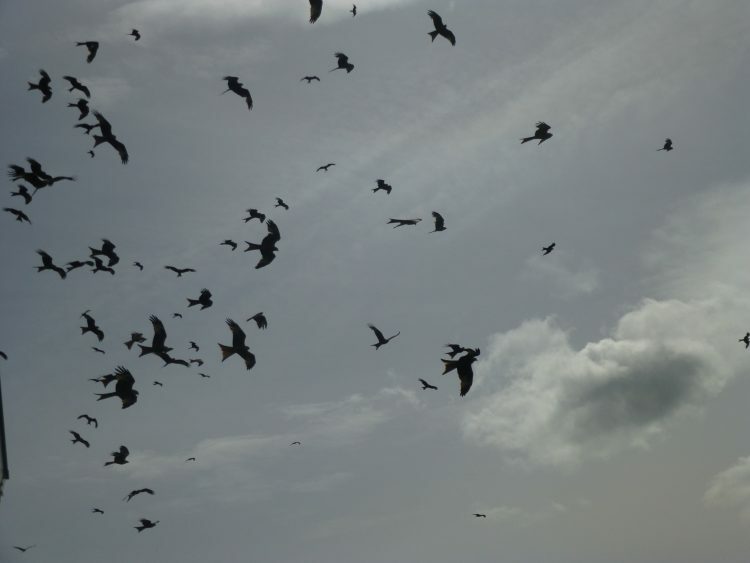 There were easily 60 or 70 birds there. It was very hard to get good photos as they fly so fast, and twist and turn in the air in an extraordinary way. 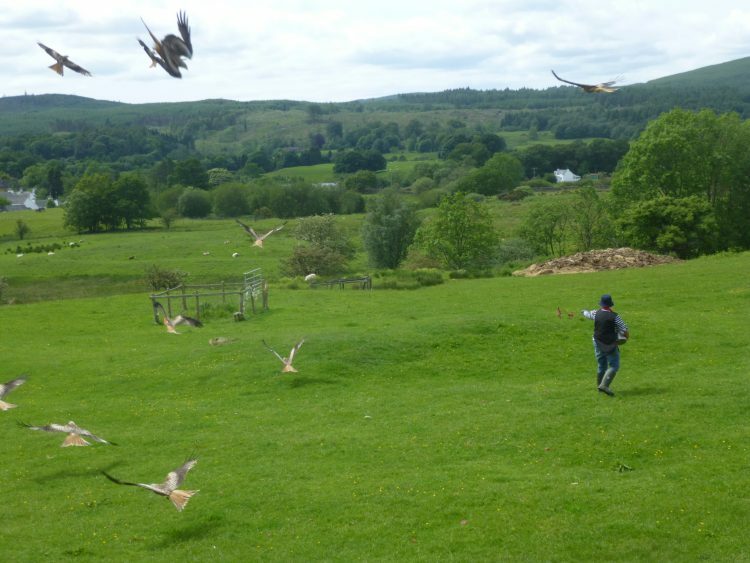 Looking at some of my photos carefully it appears that some of the kites were even flying upside down. Many of them were tagged with blue wing tags. One of these can be seen two photos up. 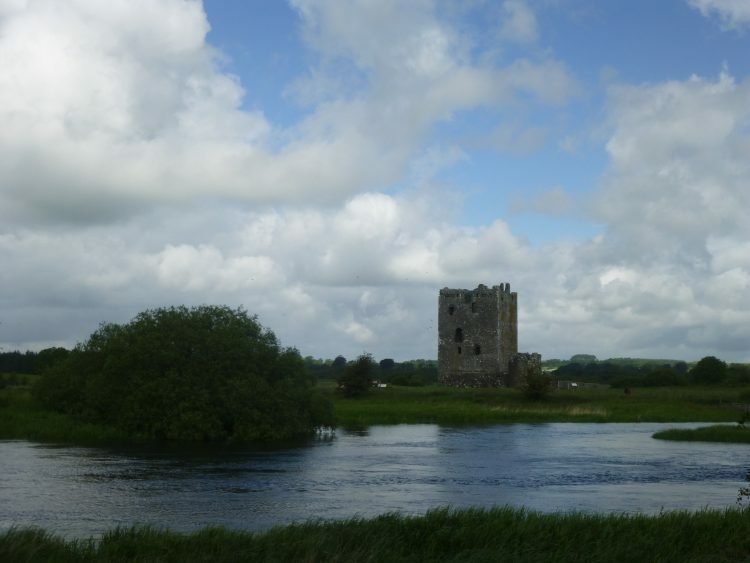 My last trip of the week was to see the ospreys nesting at Threave Castle. They were quite a distance from the viewing platform, but through my binoculars I could clearly see the male sitting on a dead tree near the nest, and the female on the nest – and while I was watching one of the young osprey popped it’s head up briefly. 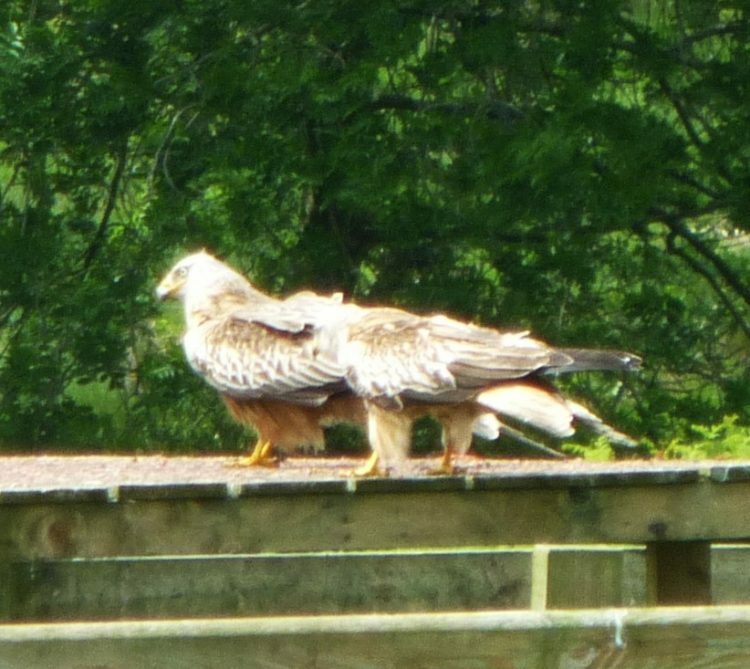 The volunteer manning the platform said they thought there were two and possibly three nestlings. 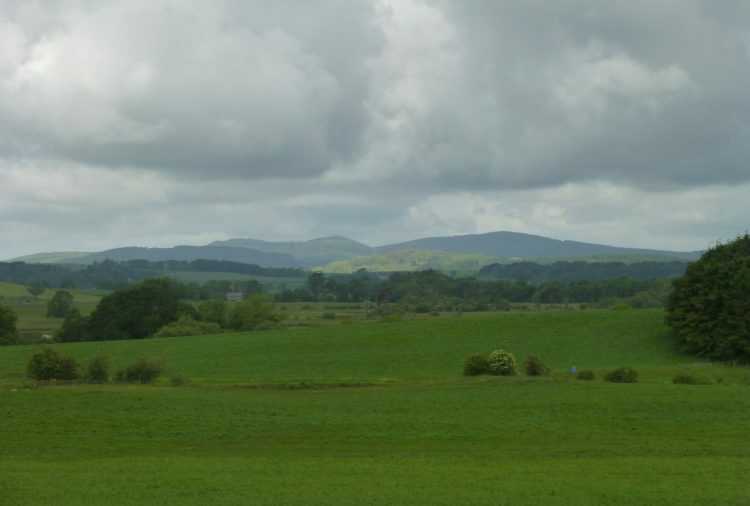 The walk round the nature reserve gave some good views of the landscape around the castle. 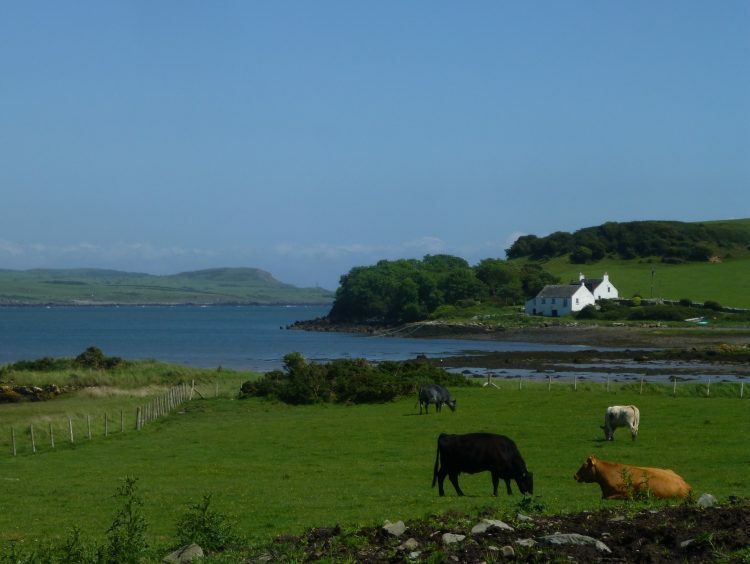 The countryside around Galloway was beautiful – this is Ross Bay, which opens out into Kirkcudbright Bay, the estuary of the River Dee. I’ve been back almost a week now, and have just started Fingringhoe Wick: May. I really need to get down to work next week and do some catching up . . .
← Galloway – Part 1!